Installing energy-efficient windows can lower your utility bills and make your home more comfortable year-round. If your house was built before 1988, has electric heat and either single-pane windows or double-pane metal windows, upgrading will help conserve energy and save you a significant amount of money each year. 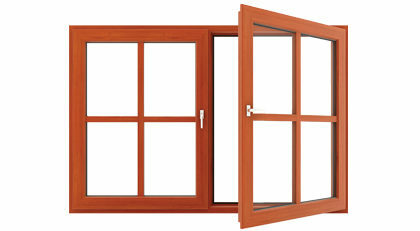 To ensure efficiency, new windows must be installed according to the manufacturer’s recommendations. That is why we recommend you have a licensed contractor install your windows. A professional can also help you select the right windows for your house. Houses and rental properties up to four units built prior to 1988 may qualify for a $10 per square foot rebate to replace existing single-pane windows with windows rated at .30 U-value or lower. Houses and rental properties up to four units built prior to 1988 may qualify for a $5 per square foot rebate to replace existing double-pane metal windows with windows rated at .30 U-value or lower. Many manufacturers also offer rebates you can use along with ours to save even more. Consult your contractor for details. Please note that customers are eligible for either a rebate, loan or income-eligible grant but not a combination of these. We offer a seven-year, zero-interest loan of up to $23 per square foot for replacement of single-pane windows and double-pane metal windows in homes and rental properties up to four units. You must have good TPU payment and credit history to be eligible. The minimum loan amount is $1,000. Based on your income, you may be eligible to receive a grant of up to $23 per square foot for the replacement of single-pane windows or double-pane metal windows in owner-occupied homes built prior to 1988.